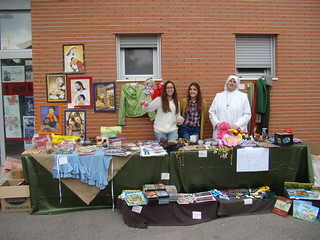 Yard Sale to raise money for the Missionary Groups of the Home of the Mother (MGHM) in Valencia (Spain), from December 11th-13th, 2015. Almost two months ago we found out that the Missionary Groups of the Home of the Mother were in need of money in order to keep carrying out the many projects they have to help the poorest of the poor in Ecuador. That’s why the lay members of the Home of the Mother in Valencia got together to think about what we could do to help. In addition to the charity concert, which we put on last month, we thought it might be a good idea to do a yard sale in some place. We decided to have the yard sale (thanks to the generosity of Fr. Luis Miguel) at the parish of Saint John Bosco in Torrente, Valencia, the parish that the Servant Sisters of the Home of the Mother belong to and some of they lay member of the Home as well. We started to get to work and between everyone we were able to get together clothes, games, toys and different objects of all shapes and sizes. We also baked some chocolate chip cookies which were a great success; you could either buy cookies to bring home or buy one there and eat it with a cup of hot chocolate. The yard sale took place on December 12th and 13th. On the morning of Saturday the 12th, some lay member of the Home and some Sisters went to set up the yard sale so that we could begin by 11:00 am, which is when the CCD classes start, and we stayed until 1:30 PM until the classes finished. Afterwards, from 4:00 PM to 5:30 PM we began the second session which coincided with more CCD classes. On Sunday, December 13th we had the last session of the yard sale and it coincided with the 11:00 AM mass. We brought a computer along with us and very powerful speakers so that during the yard sale we could project some of the videos that we have made about the Missionary Groups, so that the people could see the work we do in Ecuador and where the money would be going. Everyone responded very well to the yard sale and collaborated with much generosity. 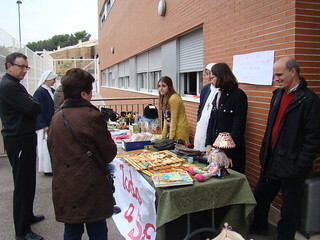 We sold all of the cookies, many books for children, games, toys, jewelry, purses, missionary rosaries, etc. It was surprising to see people who paid more than the necessary for what they were buying or others who just gave a donation without taking anything at all. Some people told us that they were even going to bring us items to sell in the next yard sale we do. From this article, we would like to thank wholeheartedly Fr. 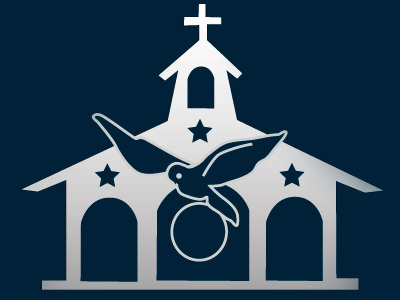 Luis Miguel and all the people at the Parish of St. John Bosco for having opened the doors of their parish to us. We would also like to thank all those who have participated in the yard sale by donating things to sell, organizing the items and putting price tags on them, making cookies and making time to be at the yard sale. And above all, thank you all for your prayers. May the Child Jesus, who is very near, bless you all and fill you with His grace.